When I began this post, I intended it to only be one blog post. However, the more I wrote and the more research I did, the more I realized this isn't even a 2-parter... it's an entire series!! This post is specifically about sources of toxins that have the potential to damage our health and lead us further towards disease, not towards vitality. In Part 2, I'll share how to protect yourself from these sources. A third addition to this series will be more specific on how these contaminates contribute towards disease. The fourth is about how to cleanse your body. Common Symptoms: Do you experience...? Do you get headaches, migraines, or maybe random nausea? A sensitivity to chemicals? Do you ever get lethargic or tired even after a good night sleep? Frequent allergic reactions, or frequent infections, or bad breath? Difficulty losing weight, chronic water retention, joint pain? Source. Any of these symptoms can indicate many things, including toxic body burden. (Always be sure to check with your doctor). What is Toxic Body Burden? Defined by Marriam-Webster, a toxin is "a poisonous substance that is a specific product of the metabolic activities of a living organism and is usually very unstable, notably toxic when introduced into the tissues, and typically capable of inducing antibody formation." This definition of a toxin covers venom and poison created in all living things. Another item included here is the metabolic waste our bodies make on a daily basis. On it's own, our bodies can excrete these with no problem. However, post industrial revolution, take into account the amount of environmental toxins (chemicals, pollutants, heavy metals, etc.) we take in daily. This is an overwhelming amount. These toxins often accumulate faster than the body can process and excrete. Over time, the liver, kidneys, and lymph system that works to metabolize and excrete all waste from our bodies, become overburdened and this toxic waste builds up and is stored in our adipose tissue, joints... anywhere the body deems safe enough. The level at which our body is experiencing this toxicity and the extent it's affecting normal functioning is referred to as toxic body burden, body burden, or toxic load. Therefore, it's instrumental to know WHERE contaminates are coming from so you can protect yourself and your family. Pesticides, herbicides, and fungicides are not meant to be eaten yet they're all over our food and water supply (from run off and the hydrologic cycle). Hormones, antibiotics, GMO's, heavy metals from fish, and the thousands of additives in our food that many aren't required to even be labeled- our food supply is tainted- to put it nicely. Beauty and personal hygiene can be major sources of toxicity unless you take specific steps to protect yourself. From the aluminum in conventional antiperspirant/deodorant to parabens and plastics in lotions; fragrance in hair care and body care; butane, ether, & polymers in hair spray; formaldehyde, dibutyl phthalate, and toluene in nail polish; and the many chemicals in hair dye that has been deemed “reasonably anticipated to be human carcinogens.” by the NPT (National Toxicology Program). This includes drinking water, water we cook with, and the water we bathe in. Water is the universal solvent; it collects and hold everything it touches. When water is treated, lots of nasty things we don't want, thankfully, get purified out so that the water is at least potable. However, with the use of chlorine to sanitize it (which also kills our gut flora and bogs down the liver), the addition of fluoride (just plain poisonous to us), and the many things that are NOT filtered out- such as drugs our neighbors take. You yourself may not be taking these drugs, but you are when you don't filter or purify your water. Medications such as birth control and other hormones, antibiotics, statins, NSAIDS, and even chemotherapy drugs- among many other types of contaminates- are lurking in our water supply. The off-gassing from carpeting, flame retardants on our furniture, and foam in furniture pollute our indoor air. Our laundry (if you're using conventional chemical filled stuff and not natural detergent) and cooking tools in our kitchen such as aluminum, non-stick coated cookware and anything plastic (even when it's BPA free). BPA has been found to prevent chromosomes from aligning, repairing, and separating properly- permanent damage to DNA! Anything scented with fragrance are unnecessary chemicals adding to polluted indoor air such as “air fresheners,” febreeze, and potpourri. Another is insecticide spray, either in the home or in lawn care. Lastly, possible mold contamination from damp areas such as bathrooms, kitchens, and basements or anywhere that has leaking water. We can choose what we eat, drink, put on our bodies and in our homes, but we have far less control over what we're breathing. You may say that the aluminum in deodorant isn't so bad... or a little mercury in fish won't hurt me... the fragrance in my shampoo can't be that harmful... but you can go on and on defending how this or that isn't so bad. And you would be right IF that was the only toxic element you were exposed to even just once a week. However, as the above demonstrates, there are innumerable toxins we consume and surround ourselves with every single day. This adds up and contributes to toxic body burden. There are many steps you can take to protect you, your family, and your home from contributing to toxic body burden. Read on to find out! 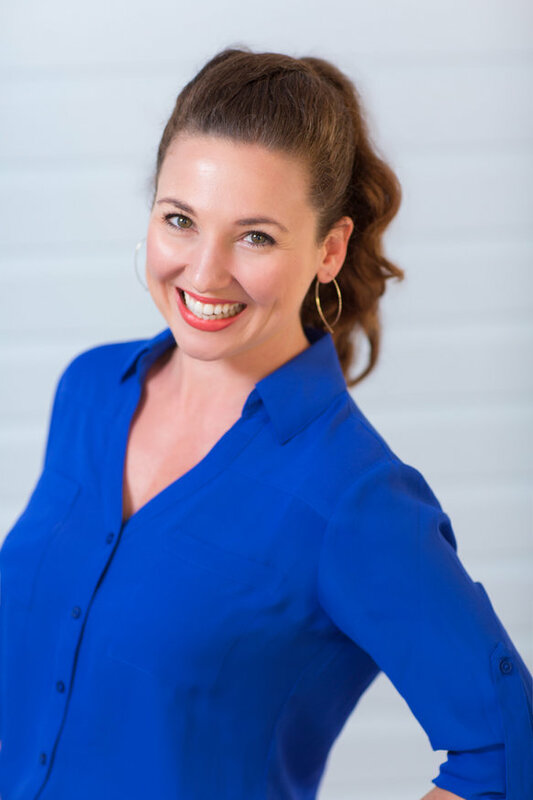 Mandi Palmer, Food & Lifestyle Success Coach, holds Certifications in Health Coaching and Flowing Zen Qigong. She has been inspiring and leading others in their pursuit of wellness since 2008. Her holistic approach to helping others achieve wellness includes nutrition, healthy-never-over-doing-it movement, building purpose and resilience to stress, the ancient art of qigong, comfortably cleansing, and using the published works of Anthony William, The Medical Medium. >Disclaimer< This information is to be used for educational purposes only and is not to be used to diagnose, treat, or cure disease. The author of this article is not a doctor, licensed dietitian, or licensed nutritionist and does not practice medical nutrition therapy. By reading this article, you are agreeing to take responsibility for your own health and decisions regarding food and health and you waive the right to hold Mandi Palmer responsible for any negative result that may occur after engaging with this information.